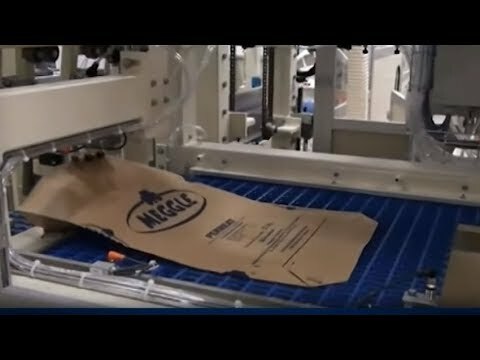 Innovative bottom-up baggers for high-speed industrial packaging will help you create a dust-free packing environment. The PT Chronos OML BF SERIES open-mouth bagging systems are specifically designed for the food, chemical and pharmaceutical industries to bag powdery materials, like milk, whey or lactose powders. The OML BF bagging system features our patented dust-reduced, bottom-up filling technology, which ensures high accuracy during the filling process. Once the bag is placed, the filling spout moves down the bag during the filling cycle. The Open-mouth bottom-up baggers keep a minimum distance between the filling point of the vertical filling screw and the product in the bag to minimize the dust emission and reduce the product aeration. The control-driven vertical screw allows all powdery products to be filled hygienically, accurately and quickly. 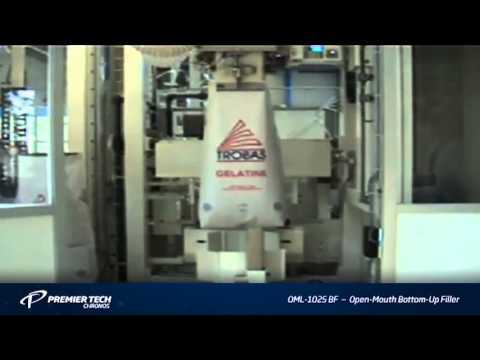 Premier Tech Chronos (http://www.ptchronos.com/) offers high-capacity large (> 5 kg) bag packaging solutions including weighing and feeding, bagging, valve bag packing, palletizing and load securing equipment for almost all industries. High-capacity large (> 5 kg ) bag packaging solutions including weighing and feeding, bagging, valve bag packing, palletizing and load securing equipment for almost all industries.